At certain stages of civilizational development, resolving various conflicts, disputes and disagreements that accompany the whole history of mankind results in involving individuals who specialize in the representation of third party interests. This representation is referred to as practice of law. While some elements of these professional activities date back to Ancient Greece and Ancient Rome, the bar as an institution is a relatively new phenomenon in Ukraine that started to grow rapidly in the middle of the 19th century. It should also be stated that, in Ukraine, practice of law was under strict control exercised by the central government and its bodies for quite a while. This tendency particularly grew in strength in the days of the Soviet Union when private-practice defense lawyers were persecuted in every way possible while performing their professional activities; in addition, advocates who united into collegiums (consultation offices) were actually treated as government officers with specific hierarchy and subordination to structures of justice of a higher rank. Since gaining its independence, Ukraine has departed from the tradition of centralized administration in the sphere of law practice and restrained its own regulatory and supervisory activities over individuals who provide legal assistance for the purpose of building a civil society. In Ukraine, the bar has developed the characteristic features of an independent self-governing European institution for the protection of human rights and freedoms of a person and a citizen. The topicality of studying the peculiarities of the evolution of the bar of Ukraine over the past 100 years is stipulated by the fact that the President of Ukraine has introduced Draft Law No 9055 “On the Bar and Practice of Law” into the Verkhovna Rada of Ukraine, which is considered to be a new stage of reforming the bar in Ukraine. The Draft Law introduces a series of legal changes that relate to the status of advocate in labour-management relations, advocates’ rights and guarantees for practicing as advocates. However, in Ukraine, the bar in its present state as an institution gives very little consideration to both its historical and comparative aspects, which displays the genuine features of the Ukrainian bar, on the one hand, but fails to take into account the mistakes inherited from the days of the Soviet Union, on the other. Hence, it is worth exploring the formation and evolution of the Ukrainian bar. In order to provide an overview of the history of reforming the bar of Ukraine it is necessary to shed light upon its genesis and evolution through several stages: the Soviet period, the period of Ukraine as independent state, and the European and integration (current) period of the establishment of the bar. First of all, it should be noted that the 100hundred year evolution of the bar as an institution began in unfavourable conditions. This can be attributed to the disconnection of Ukrainian lands at the time and respective inconsistency of law. More specifically, practice of law was regulated by the law of Poland in Western Ukraine from 1921 to 1939, by the law of Czechoslovakia in Transcarpathia from 1920 to 1944, the law of Romania in Northern Bukovina and by the law of the USSR in the rest of Ukraine. The operation of the bar came under the unified code of law of the USSR only after the unification of Ukrainian lands after World War II. With the collapse of the Austro-Hungarian Empire, the Czechoslovak Republic came into being. This called for the formation of the government as well as social institutions one of which was definitely the bar. The newly formed Czechoslovak Republic was composed of different provinces with various social, economic and cultural peculiarities which were bound to influence the development of the bar institution. In the early 20th century (in the 1920s), the Czechoslovak Republic included two former Hungarian provinces: Slovakia (the northern province) and Subcarpathian Ruthenia or Transcarpathia (southern-eastern province). With the aim to reduce social tension within the newly-annexed areas, the government of the Czechoslovak Republic maintained the former law of the Empire, including the law which regulated the legal status of an advocate. This is why on the territory of Czechia the bar operated according to the old Austrian law which defined its legal status: Provisional regulation on the Bar of 1849, The order of the Ministry of Justice “On Taking the Bar Examination» of 1850, The Permanent Regulation on the Bar of 1868, Disciplinary Statute of 1872 . In contrast, on the territory of Slovakia and Subcarpathian Ruthenia Hungarian Law No 34 of 1874 remained in force; it temporarily defined the legal status of an advocate. This law remained in force during the whole Inter-War Period on the territory of Transcarpathia, though it was partially modified and amended in the days of the Czechoslovak Republic, in particular with Law No 40 as of January 31, 1922. 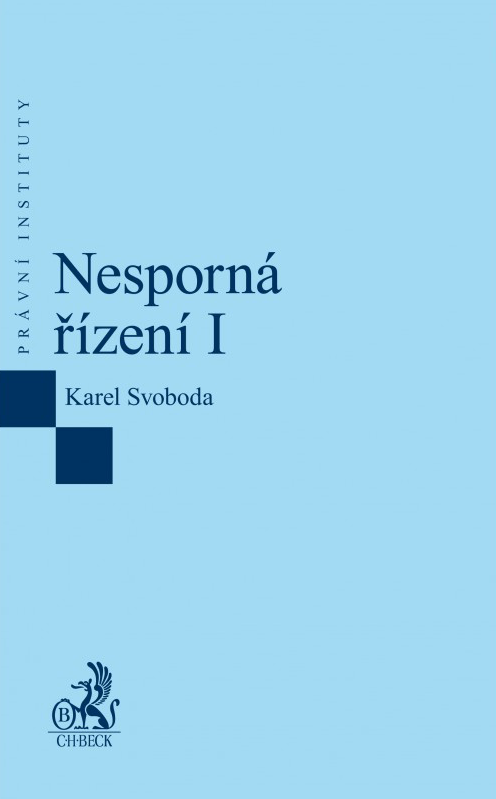 In the Inter-War Period, all advocates of the Czechoslovak Republic were united into the bar associations (advokátní komora), which functioned as the bar self-government bodies and ensured the independence of advocates. These associations participated in the formation of the bar, bringing advocates to disciplinary responsibility, and in developing laws which concerned the status of advocate. While such bar associations were established in Czechia and Slovakia, they were not formed on the territory of Subcarpathian Ruthenia. Interestinglty, the independent bar association had existed on the territory of Transcarpathia with its centre in the town of Maramorosh-Sighet as long as 1919. However, as soon as this territory became part of Rumania, Prague government did not allow local advocates to establish their independent bar association for the protection of their rights, in spite of the fact that the Union of the Advocates of Subcarpathian Ruthenia was established in 1920. Evidently, this could be attributed to the worries of the central government about Hungarian separatism, since the central government of the Czechoslovak Republic postponed granting autonomy to Subcarpathian Ruthenia for as long as possible. The establishment of the independent bar association might have been treated as a step towards the realization of the constitutional provisions on the autonomy of the province. The control over new members joining the bar of Subcarpathian Ruthenia was exercised by the government officials. In particular, the chief judge of the relevant regional Court was entitled to keep the register of advocates and candidate advocates of Subcarpathian Ruthenia and administer the oath of an advocate. By the decision of the Minister of Justice, these powers were granted to the chief judge of the Regional Court in the town of Uzhhorod. The advisory committee which was established under this regional Court in 1923 р. was entitled to administer advocates’ financial issues. In contrast, the disciplinary issues concerning Transcarpathian advocates were under the jurisdiction of the bar self-government bodies of Slovakia. In particular, the Disciplinary Senate of the Joint Bar Chamber in Turchansky-Saint-Martin, which was the centre of the Bar Association of Slovakia, was entitled to punish advocates for disciplinary offenses. This means that the Joint Bar Chamber in Turchansky-Saint-Martin could bring advocates of Subcarpathian Ruthenia to disciplinary responsibility, although these advocates were not members of the Chamber. According to the Law of the Czechoslovak Republic No 40 of 1922 р., to become an advocate a person had to meet the following requirements: hold Czechoslovak citizenship, be capable under the law, have a degree in law and a Doctor’s degree in law, pass the bar examination, have a six-year legal experience and take an Oath. Interestingly, this law allowed women into the legal profession. In particular, a woman advocate on the territory of Subcarpathian Ruthenia was Leona Funkova, who performed her practice of law in Uzhhorod. The number of advocates in Subcarpathian Ruthenia was not very large; however, it tended to increase. In particular, as of December 31, 1926, Subcarpathian Ruthenia numbered 140 advocates: Mykhailo Stanko practiced in Khust, Avgustyn Shtefan and Anton Shtefan – in Rakhiv, Mykhailo Brashchaika, Yuliy Brashchaika, Ivan Yatskovych, Mykhailo Stasyev, Oleksa Hupalovskyi – in Uzhhorod. As of December 31, 1933, Subcarpathian Ruthenia numbered 172 advocates: 50 in Uzhhord; 34 in Mukachevo, 28 in Berehovo; 14 in Khust; 12 in Vynohradovo; 8 in Tiachiv; 6 in Rakhiv and 6 in Irshava; 5 in Velykyi Bereznyi; 3 in Volove (now Mizhhirya), 1 in Svaliava, 1 in Vilok and 1 in Serednye. Most of them identified themselves and Jews: there were 33 of them in Uzhhorod; 23 in Mukachevo; and 23 in Berehovo. As of December 31, 1937, the number of advocates in Subcarpathian Ruthenia increased to 193: Mykola Lozynskyi, Mykhailo Stanko, Oleh Popovych and Mykola Bandusyak in Khust; Volodymyr Komarynskyi and Avgustyn Shtefan in Rakhiv, Mykhailo Stakhura in Vynohradovo; Vasyl Savruk in Tiachiv; Mykhailo Brashchaika, Yuliy Brashchaika, Oleksa Hupalovskyi, Ivan Yatskovych, Mykhailo Stasyev and Roman Stakhura in Uzhhorod. Hence, significant part of the bar in Subcarpathian Ruthenia was made up of advocates who were not Ukrainians. The Soviet period featured transformational changes in the bar as an institution which resembled changes in the state in that period. Gradual centralization of the regulation of the bar institution took place. According to the Regulation on the bar, practice of law organizational forms gradually transformed from individual to collaborative by establishing collegiums of defense layers at provincial departments of justice (1922) followed by collegiums and legal aid bureaus under auspices of the People’s Commissariats of Justice (1928). Findings of the research into the bar in the days of the Soviet Union show that the Soviet Union had its own model of organization and operation of the bar as a legal institution. The organizational bureau of the people’s bar consisting of three members was established under auspices of the Authorized Representative of the People’s Council for justice issues. The organization bureau was authorized to consider applications of all the individuals who expressed a desire to work for the People’s Bar. It was recommended that priority should be given to advocates who had a degree in law, had a good command of either Ukrainian or Russian, and whose reputation was not tarnished by hostile actions against their people in the period of ‘bourgeois regimes.’ It was allowed to call to the bar individuals who had incomplete higher legal education, however, they were required to work in court or prosecutor’s offices or hold administrative or other related state posts, in other words, they were required to have considerable practical and personal experience as well as qualification to provide legal assistance. Hence, all advocate candidates who applied to the People’s Bar of Transcarpathian Ukraine belonged to one of the three categories: 1) former advocates; 2) individuals who were not advocates but had a degree in law and a two-year experience in the legal profession; and 3) individuals who were not advocates and had incomplete higher legal education but had practical and personal experience gained in the legal profession. The individuals who belonged to the first two groups became people’s advocates, while individuals who belonged to the third group became their deputies (‘defenders’). Interestingly, despite ‘people’s’ nature of the bar of Transcarpathian Ukraine, all advocate candidates had to pay a fee for the admission to the people’s bar. It should be stated that many advocates could not pay a lump sum payment, therefore, the organizational bureau allowed them to pay in monthly installments. At the time, individual practice of law was forbidden both in Transcarpathian Ukraine and across the Soviet Union. Massive collectivization which began in Soviet Ukraine in the 1930-s affected the professional activities of Soviet advocates. This resulted into the transition to the collective organization of advocates’ practice of law into legal consultation offices, thus all private advocate’s offices were abolished. This approach to the bar operation allowed to exercise strict control over the practice of law, ‘disobedient’ advocates were expelled from the collegiums which performed practice of law under the spotlight of the People’s Commissariat of Justice which acted on behalf of the government. In Transcarpathian Ukraine, such supervising functions were performed by the organizational bureau which operated under the Authorized Representative of the People’s Council for justice issues. Among other things, the organizational bureau was responsible for organizing conventions of advocates of Transcarpathian Ukraine which elected the Board and the Head of the Advocates’ Collegium as well as Audit Committee. A short outline of the history of the bar of Transcarpathian Ukraine vividly depicts the dramatic stages of its development within the framework of the Soviet persecution of residents of Transcarpathia where an advocate, together with all other civil structures, had to serve the interests of the Soviet government to ensure the smooth inclusion of Transcarpathia into Soviet Ukraine. The advocate’s direct responsibilities – the protection of human rights and interests - fell by the wayside. The bar history of Transcarpatia cannot boast many prominent people whose names are written in the history of the Ukrainian bar. However, it is worth considering legal and public views of notable advocates and social and political activists of Transcarpatia in the 20th century Mykhailo Brashchaiko and Yuliy Brashchaiko. The brothers were famous social, political, cultural and educational activists of Transcarpathia with a pro-Ukrainian stand. They witnessed complicated social and political events in the region in the first half of the 20th century which had a profound effect on their lives. Both brothers graduated from faculties of law, though, at different universities. Mykhailo Brashchaiko and Yuliy Brashchaiko were convinced that it is through the realization of the right to legal assistance that people can realize all other rights: political, social, economic, etc. This is why they did not stop to practice law in their lifetime, engaged in civic activities, participated in public and political life of our region and as advocates continued to provide legal assistance for those who needed it. Apart from practicing law, the brothers were engaged in scientific and journalistic activities, which had a positive impact on the formation of legal culture and legal awareness of the population of Transcarpathia. In 1939, the new Regulation on the bar in the USSR was adopted which expanded the sphere of the circulation of the notions ‘advocate’ and ‘the bar’. The latter was defined as a professional union of specialists in law. The regulation established the requirements for practice of law, the structure of collegiums of advocates, the admission and expulsion procedures and disciplinary actions against advocates. It was forbidden to simultaneously hold office in state and non-governmental bodies and enterprises (except for elective posts and teaching (academic) positions). In December 1958, the law on court organization and the fundamental criminal and civil laws of the USSR and union republics were adopted followed by the introduction of the Criminal Code of Ukraine and the Criminal Procedure Code of Ukraine in 1960 and the Civil Code of Ukraine and the Civil Procedure Code of Ukraine in 1963. This resulted in dramatic changes in the legal regulation of the bar institution in Ukraine. In particular, the defense lawyer was allowed to take on a case only after the accused had been notified about the completion of preliminary investigation and granted the permission to familiarize with materials of case. In 1962, the new Regulation on the bar of the Ukrainian SSR was adopted. After approving the Constitution of the USSR in 1977 the bar was recognized as a constitutional authority for the first time, thus it started to gradually transform into “state business”. In the post-Soviet period, more attention was paid to the legal status of advocate and advocates’ union. “The Regulation on the Bar of the Ukrainian SSR” No1050-X was adopted on October 31, 1980 which was based on the norms of the law of the USSR “On the Bar in the USSR” of 1979. According to the Regulation of 1980, the bar of the Ukrainian SSR promoted the protection of the rights and legitimate interests of citizens and organizations, the administration of justice, obeying and strengthening the socialist law and order and bringing up citizens to strictly and consistently observe Soviet laws, to respect public property, to submit to labour discipline, to respect the rights, reputation and dignity of other people and to obey the rules of socialist communal living. The Regulation defined a collegium of advocates as a voluntary union of individuals who perform practice of law; accordingly, a collegium of advocates shall be created following the petition filed by a group of founders that consists of individuals who hold a degree in law or upon an initiative of the executive committee of Regional, Kyiv City Council of people’s deputies. After the declaration of the independence of Ukraine, the Soviet law on the bar continued to operate in Ukraine for some time. However, a significant step towards the development of the bar institution was the adoption of the law of Ukraine “On the Bar”, No 2887-XII, by the Verkhovna Rada of Ukraine on December 19, 1992. According to the law, the bar of Ukraine is a voluntary professional non-governmental association that aims to promote the protection of the human rights and freedoms, to represent legitimate interests of citizens of Ukraine, foreigners, individuals without citizenship and legal entities, and to provide them with legal assistance. The bar of Ukraine exercises its activities following the principles of rule of law, independence, democratism, humanism and confidentiality. The law entitles an advocate to carry out professional activities individually, to establish his or her law bureau, to unite with other advocates into collegiums of advocates, legal offices, firms and other associations of advocates that operate in compliance with this Law and statutes of advocates’ associations. In April 1993, the Cabinet of Ministers of Ukraine adopted the regulation «On the Registration Procedure for Associations of Advocates» according to which the activities of associations of advocates were based on the principles of voluntary involvement, self-government, collegiality and publicity. The associations were registered by the Ministry of Justice; after that, the associations had to notify the local authorities about their registration and advocates – about being awarded a certificate. On October 1, 1999, the High Qualification and Disciplinary Bar Commission at the Cabinet of Ministers of Ukraine approved “Rules of Legal Ethics” No 6/VI. The Rules were created with the aim to unify and preserve traditions and experience of the Ukrainian bar in the field of interpreting the norms of legal ethics as well as universally accepted deontological norms and rules laid down in the international bar community. Over the years of the operation of the bar in independent Ukraine, a number of legal non-governmental organizations have been established, in particular: “Union of Lawyers of Ukraine”, “Ukrainian Bar Association”, “Ukrainian Advocates’ Association” which have already undertaken self-organization of advocates. The current fundamental principles of legal regulation of the bar in Ukraine as a legal phenomenon are based on the national and international law. More specifically, Article 131-2 of the Constitution of Ukraine stipulates that “with the aim to provide legal assistance the bar operates in Ukraine. The independence of the bar is guaranteed. The fundamentals of the formation and operation of the bar as well as the exercise of practice of law in Ukraine are determined by the law». On July 5, 2012 the Law of Ukraine «On the Bar and Practice of Law» No 5076-VI was passed; it defines the major legal principles of the organization and operation of the bar as well as the exercise of practice of law in Ukraine. The law regulates organizational conditions for the operation of the bar, stipulates that the bar is not included in the system of state and local authorities and is independent of their officers. The state creates proper conditions for the operation of the bar and ensures that the law practice guarantees are observed. On November 17, 2012 the national professional organization of advocates, the Ukrainian National Bar Association, was established as the highest body of the bar self-government. It unites all the advocates of Ukraine with the aim to ensure the fulfilment of the tasks of the bar self-government; it was created on the basis of the professional membership in order to promote the development and the growth of the bar institution of Ukraine, to increase the level of providing legal assistance by advocates, the role and the reputation of the bar in society and to protect the rights and legitimate interests of its members. The amendments to the constitution that came into force in 2016 provided for the gradual implementation of the exclusive representation by advocates in courts: starting from January 1, 2017 in the Supreme Court of Ukraine; staring from January 1, 2018 in courts of appeal and starting from January 1, 2019 in courts of first instance. The rule of exclusive representation of public authorities and local self-government authorities by advocates will apply on January1, 2020. At present, the reorganization of the bar institution of Ukraine is in progress. New proposals for changes in the legal profession-oriented legislation that might involve the adoption of the amended Law of Ukraine “On the Bar and Practice of Law” have been submitted to the Verkhovna Rada of Ukraine. Hence, in spite of the complicated development of the bar institution of Ukraine and dramatic changes in the legislation relating to this field, the conclusion can be made that at present the provisions for institutional capability of the bar of Ukraine are being created with the aim to increase the effectiveness of carrying out its functions, to expand advocates’ professional rights and guarantees, to raise professional standards of performing the practice of law, which will definitely promote the proper protection of human rights and freedoms and the organization of the bar of Ukraine in accordance with the current European standards of organization and operation of the bar. Autor působí jako advokát a děkan právnické fakulty Uzhhorod National University.